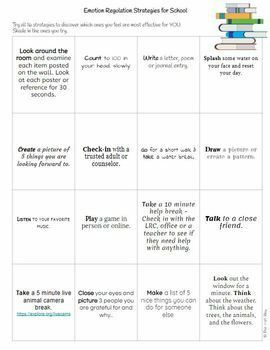 Help your students regulate their emotions and choices in and outside of the classroom. 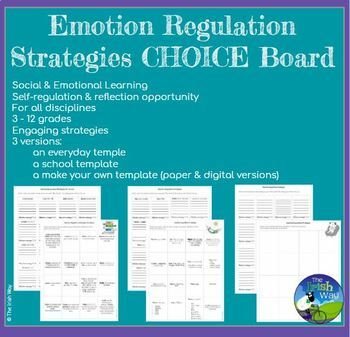 Share this student choice board with your whole class or select students to help them develop emotion regulation strategies. 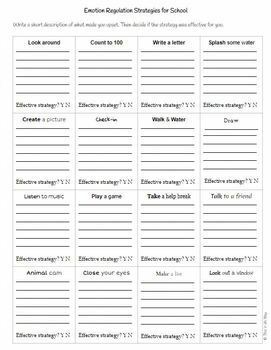 There are 3 templates in this product: Emotion Regulation strategies for everyday life, for school and a blank template for students to fill in their own selected strategies (print or digital). 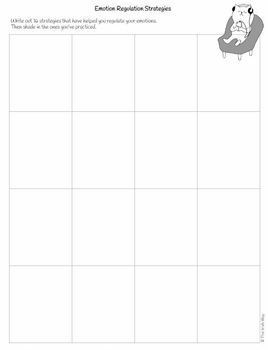 Each board encourages students to try a variety of strategies while shading in the ones they have tried. On the back, the same board gives students the opportunity to reflect in writing about what made them upset and then rate whether or not they felt the strategy was effective for them. The product download includes a link to a editable student google slides project template as well as student examples.